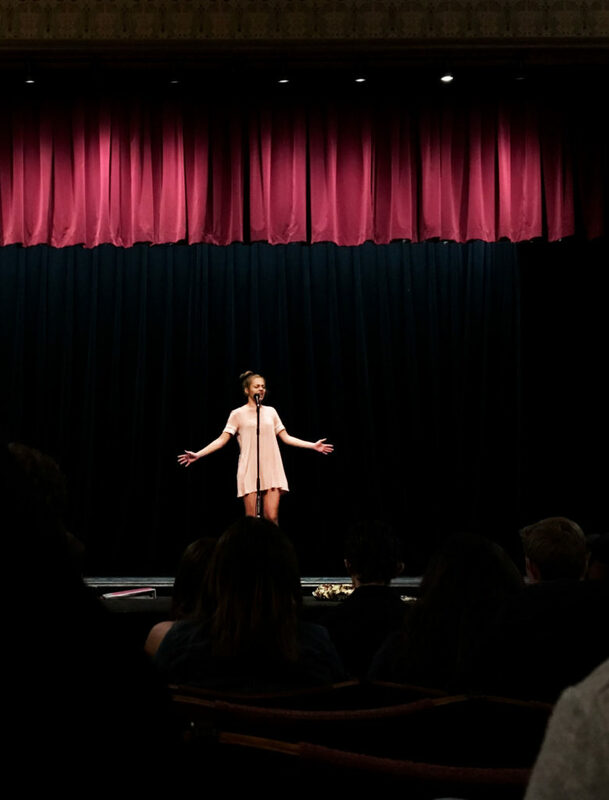 Poetry Out Loud: National Recitation Contest an arts education program created by the National Endowment for the Arts and the National Poetry Foundation encourages the nation’s youth to learn about great poetry through memorization and recitation. Poetry Out Loud (POL) incorporates a standards-aligned 3-week curriculum that builds student’s public speaking skills, self-confidence, poetry mastery in preparation for the State and National Contest offering over $100,000 in awards. 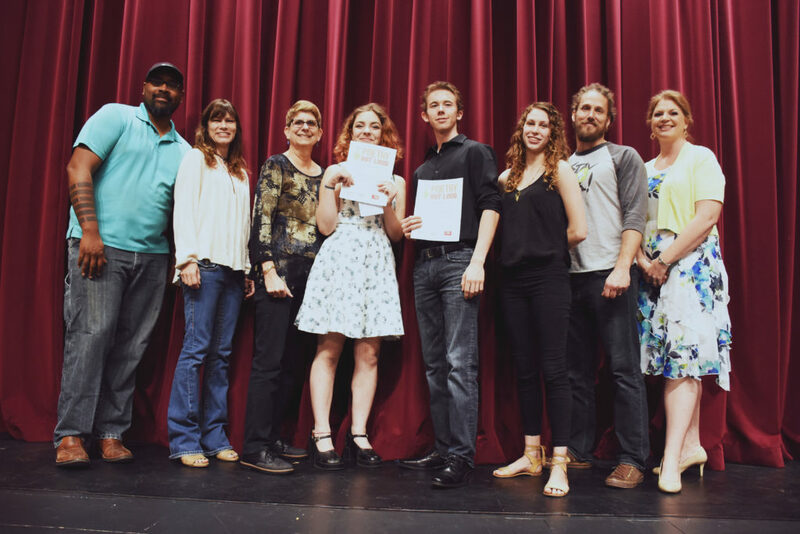 The Arts Council adopted the program for Mariposa County in 2017, opening the program and contest to every high school in the district. Experience the final competition by attending – 2019 details coming soon! 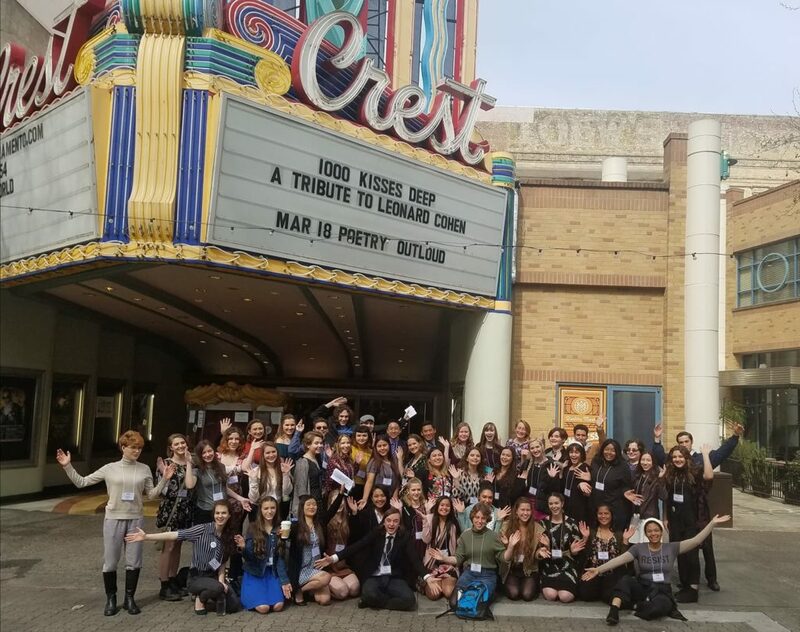 The top 10 proceeded to the Mariposa County Finals, competing in three rounds for a $100 cash prize, the title of County Finalist, and an all-expenses-paid trip to the State Finals Contest in Sacramento. State Finalists receive a $200 cash prize, $500 stipend for their school, and the opportunity to earn up to 20,000 dollars at the National Contest. Hannah Swiecki, a junior at Mariposa County High School, was named the County finalist and will compete at the state level in Sacramento on March 18-19, 2018. Swiecki captivated the judges with her performances of “every single day,” by John Straley; “Friendship After Love,” by Ella Wheeler Wilcox; and “Larkinesque,” by Michael Ryan. Taj McCoy-El, judge; Laura Phillips, Poetry Out Loud County Coordinator; Laura-Lynn La Notte-Hays, judge; Hannah Sweicki, County Winner; Tyler Mangan, Runner-Up; Daisy Phillips, Arts Council Program Coordinator; Tyson Wellcome, judge; Brooke Dobson, classroom teacher and coach. Poetry Out Loud local and county competitions are presented in partnership with the California Arts Council, the National Endowment for the Arts, and the Poetry Foundation, as part of a national program that encourages high school students to learn about great poetry – both classic and contemporary – through memorization, performance and competition. 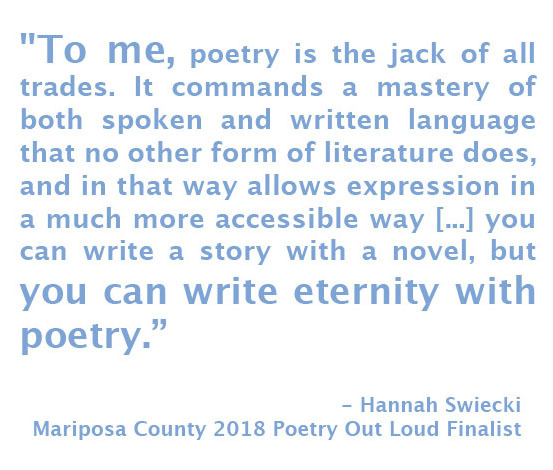 Since 2005, Poetry Out Loud has reached more than 3.3 million students and 50,000 teachers from 12,000 schools nationwide; the Arts Council will hold Poetry Out Loud in Mariposa County annually.